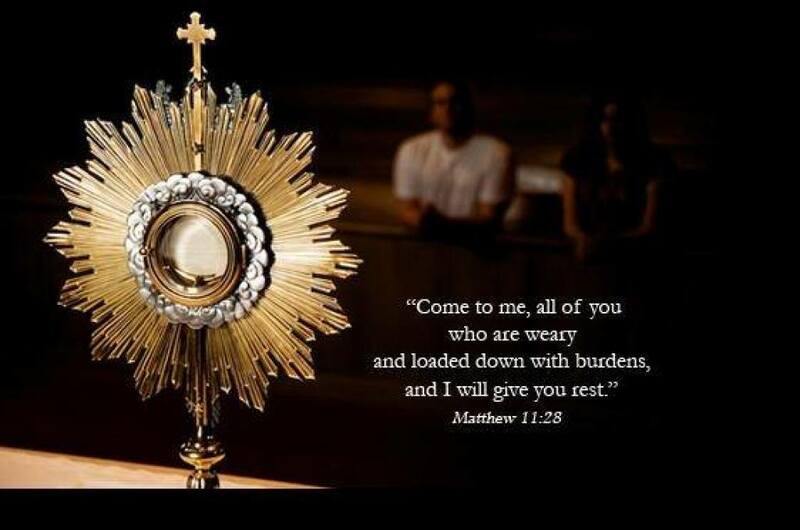 Eucharistic Adoration is an opportunity to quiet oneself in the presence of our Lord. It is a time of prayer and reflection;pray the Rosary, read scriptures, speak with God but, most importantly listen to Him in the quiet of your heart. As God, Jesus Christ, is present everywhere, but in the Most Holy Eucharist, His presence is most powerful. Think of it as the difference between speaking with your close friend on the phone and face to face. By Eucharistic Adoration we mean the exposition of the Blessed Sacrament, the Eucharist, for veneration outside of the Mass. Christ is truly present in the Blessed Sacrament and His presence endures after Mass is concluded. The real presence of Jesus Christ in the Eucharist is taught in the New Testament book of John chapter 6:22-71. 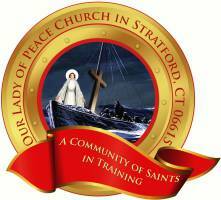 Adoration of the Blessed Sacrament is on the First Friday of the month from 9:00 a.m. to 10:00 a.m. in the Church. We invite you to sign up for a 30-60 minute time slot, convenient for your schedule. Sign up sheets are available at the main entrance to the Church.